As Denver’s premier pest control company, Colorado Pest Management is passionate about educating our customers about the various pests that can be found along the Front Range. In order to prevent unwanted pests from entering your home, it’s critical that you understand how to identify pests in order to properly remedy the problem. To help you become more in tune with the best pest prevention practices, we’ve compiled a list of pest control tips for your convenience. When you need dependable pest control and wildlife control services in Denver, contact the professionals at Colorado Pest Management today. We specialize in residential pest control, commercial pest control, multi-housing pest control, wildlife control and exclusion, bird control, and more. Get your free estimate online today! If you’ve started to notice a trail of ants in your bathroom sink or on the exterior walls of your commercial building, this may be a surefire sign of an ant infestation. Ants are, without a doubt, an unsightly presence. They can scare tenants away from your apartment building or prevent customers from coming back to your business. These pesky little critters are known for contaminating food and sterile areas. They can wreak havoc on personal belongings and even cause electrical disruptions. With more than 7,000 types of ant species in the United States, it can be challenging trying to identify the type of ant in your home. Common ants found in the US include carpenter ants, pavement ants, and fire ants. The Kitchen – Whether it’s an office kitchen or a residential kitchen, ants are attracted to these spaces because they have easy access to food and water. The Bathroom – Areas around the house with excess moisture, especially the bathroom, are known to attract ants. 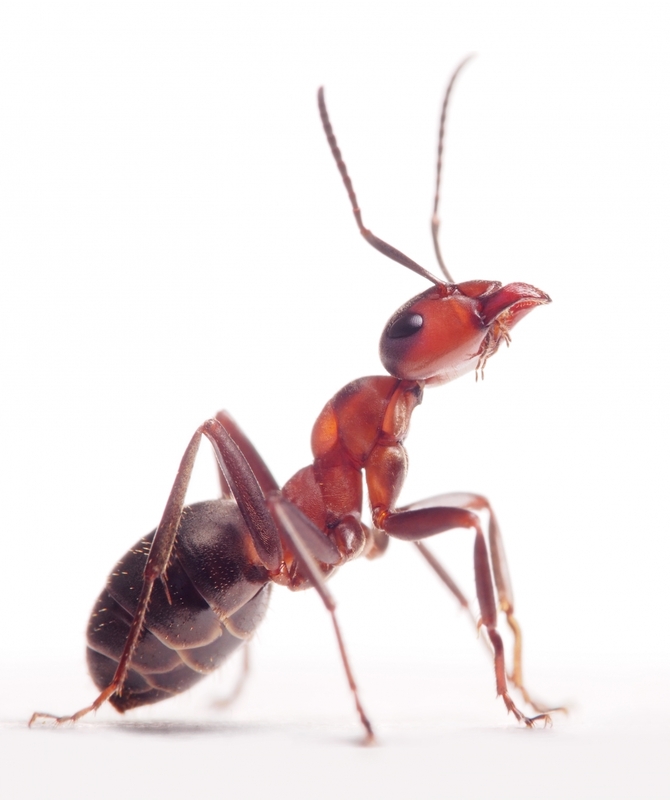 Inside Walls – Ants are such tiny insects, they can make their way into your home via a small crack or crevice. Ant infestations are likely to occur inside walls. Fix Any Plumbing Issues – If your home or commercial business has dripping pipes or faucets, you’ll want to fix these issues right away. Ants are always on the lookout for a water source, and the last thing you want to do is encourage their existence in your home. Seal All Cracks & Crevices – If there’s a crack or crevice in your property’s walls, windows, or foundation, ants will likely find their way in. To prevent this from happening, take some time to seal all potential entry points using caulk or another material. After you seal each entrypoint, make sure you clean the area around them. Ants are known for leaving a pheromone trail behind, alerting other ants to follow them to the food or water source that has been discovered. Use soap and water to scrub around previous cracks and crevices so these critters don’t find their way back to your property. Move Firewood Away From Your Home – Ants love to nest in wood, so if you have a pile of firewood or construction materials outside of your home, consider moving them at least 20 feet away from your property. Practice Good Sanitation – To prevent ants from invading your home, it’s important to practice good sanitation habits on a daily basis. You can do this by washing dishes and putting them away after use, wiping down countertops, mopping the floor, and taking out the trash on a regular basis. Bed bugs have become a growing problem in the United States. These pests are notorious hitchhikers that will crawl into your luggage or clothing to catch a ride to your place of residence. Infestation occurs in hotels, movie theaters, retail stores, educational facilities, businesses, and private residences. While these tiny pests don’t pose much of a health hazard to humans, they are known for their itchy and unsightly bites. Bed bugs often have a reddish-brown color and they are oval-shaped, featuring four legs and an antenna. 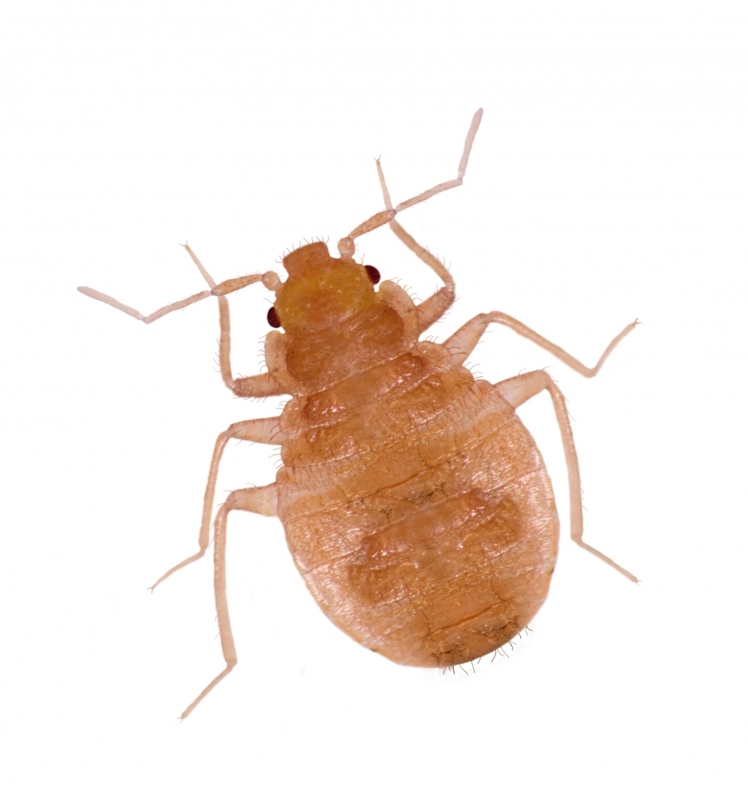 Sleeping Areas – Bed bugs commonly appear in sleeping areas where humans are present, but they can also be found in lounges, lobbies, and on soft furniture. Electronics – Did you know that bed bugs love to hide in electronics? The closer an alarm clock or computer is to your bed, the greater chance you’ll find bed bugs in them. Furniture – Many people think that bed bugs only like to hide in beds, but this is not the case. These critters will find their way to any piece of furniture in your home, hoping for an opportunity to access human blood. Invest In A Mattress & Box Spring Cover – To prevent these bloodsuckers from entering your home, consider investing in a mattress and box spring cover. These zippered covers are a great way to prevent these pests from crawling in your bed. Inspect All Second-Hand Furniture Before Purchasing – While you might love that vintage green sofa at the thrift store, make sure you inspect the piece of furniture for bed bugs before you bring it home. Patch Up Small Crevices & Cracks – If there are crevices or cracks in your home’s walls, baseboards, or wallpaper, make sure to patch them up. These pests can live up to a week without their head. They can hold their breath for up to 40 minutes. They spread and carry 33 different kinds of bacteria, including E. coli and Salmonella. The state of Colorado is home to an array of cockroach species. These nuisance pests are often found in buildings and homes because they prefer to be in warm environments near food and water. The American Cockroach – This is the largest breed of cockroach and was likely introduced to the United States via ships from Africa in the 1600s. Female American Cockroaches can hatch up to 150 offspring a year and they’ll eat just about anything. You’ll likely find these pests hiding out in dark, wet areas such as a basement or sewer. The Brown-Banded Cockroach – This type of cockroach gets its name because it has two light brown bands across its body. These pests like to hide their eggs in or under furniture. You can find these cockroaches munching on starchy foods, book bindings, and even wallpaper paste. The German Cockroach – As the most common cockroach in the United States, the german cockroach is attracted to sweet foods. They like to reside in damp places, so you may find them in your kitchen or bathroom. 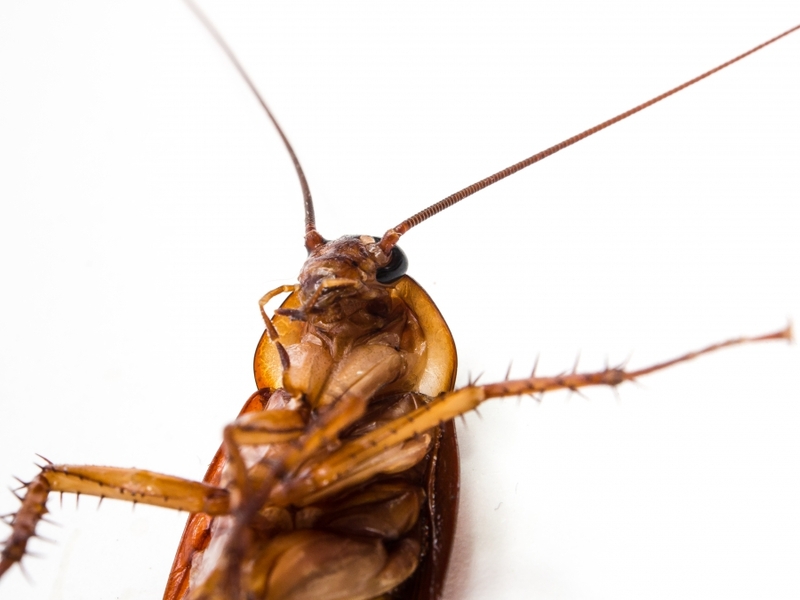 Proper Sanitation – Like other pests, a cockroach infestation can be controlled through proper sanitation in your home or business. Be sure to eliminate any food debris or standing water that may serve as a food source for these pests. Keep Storage Areas Dry – Cockroaches are always on the hunt for a water source. Do your best to keep storage areas dry, and eliminate clutter when you can. Check Floor Drains & Garbage Disposals – Floor drains and garbage disposals are notorious for collecting food waste. Maintain a regular cleaning schedule for these areas to ensure the prevention of pests. Store Food In Sealed Containers – Cockroaches are so small that they can easily slip through cardboard packaging to access a food source. Store your food in sealed containers to ensure that it doesn’t become contaminated. Eliminate Water Sources – If you have leaky faucets or pipes in your home, get these fixed right away. Did you know that stinging insects, like wasps, hornets, and bees, send more than 50,000 people to the emergency room every year? 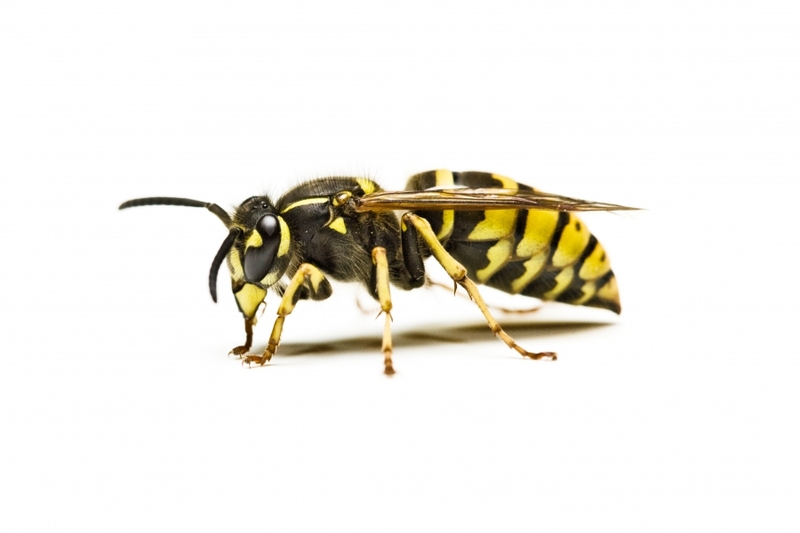 Wasps are a very common pest among Colorado homeowners and apartment tenants. Bald-Faced Hornets – The bald-faced hornet gets its unique name from the white patches on its face. These hornets are attracted to nectar and fruit juices, so if you have a fruit tree in your backyard, beware. These pests build large colonies in nests that can be found hanging from trees and other vegetation. Unlike other stinging pests, the bald-faced hornet can sting over and over again. Yellow Jackets – These social insects live in colonies with up to 4,000 workers. They have a yellow and black pattern on their face and body. Unlike bees, yellow jackets do not make honey or store food. You’ll find their nests underground or in cool, dark places. Paper Wasps – Paper wasps have a black body with yellow markings, and they are commonly confused with yellow jackets. They like to feed on nectar, caterpillars, and flies. You’ll find their nests in sheltered and dark locations. Get Rid Of Unwanted Food – If you have leftover food sitting in your kitchen from last night’s dinner, make sure you store it in a cabinet or the refrigerator, so as not to attract wasps. Check For Nests – Wasps love to make nests in your home or garden in the early spring. Keep an eye out for wasp nests in your garage, shed, cavity walls, and porch ceilings. Trim Bushes & Overhanging Branches – If the bushes around your home are overgrown or you have overhanging branches leaning close to your house, consider trimming them. If you live in the Denver area and you’re looking for a professional pest control company, look no further than Colorado Pest Management. We’ve been serving Colorado residents since 1989, and we’re passionate about providing the best pest control services in the state. Whether you need residential pest control, commercial pest control, or wildlife control and exclusion, we’ve got you covered.